Dr. Chelsea Specht is an Associate Professor in the Departments of Plant and Microbial Biology and also Integrative Biology, as well as the Curator of monocots at the Jepson Herbaria at the University of California, Berkeley. She received her B.A. From the University of Delaware. Chelsea went on to complete her M.S. and Ph.D. in Biology from New York University. Afterward, Chelsea worked as a postdoctoral fellow in the Department of Botany at the Smithsonian National Museum of Natural History before joining the faculty at UC, Berkeley where she is today. Chelsea has received the Prytanean Faculty Award from the Prytanean Honors Society Alumni, the Hellman Award from the Hellman Faculty Fund, the Presidential Chair Fellowship from the Division of Teaching and Learning, a National Science Foundation CAREER Award, and a Kavli Fellowship from the National Academy of Sciences. She was also recently elected to the California Academy of Sciences. She is with us today to tell us all about her journey through life and science. Chelsea loves being outdoors in nature, and you can find her swimming, hanging out at the beach, hiking, and enjoying the mountains in her free time. Chelsea has a six year old daughter who shares her love of nature and has become particularly fond of collecting rocks while they are wandering around outside. Research in Chelsea’s lab focuses on how plants adapt to environments to create the landscapes that surround us. She studies biodiversity in plants to better understand the mechanisms that give rise to diversity and the role of adaptation in these processes. As a child, Chelsea adored nature and was particularly interested in natural history. She spent her summers down by the creek digging for worms, bringing home injured ducks, and collecting beautiful flowers for her mother. An excellent high school biology teacher piqued her interest in the subject, and Chelsea went to college planning to be a medical doctor. She had phenomenal research experiences in college and these changed her life and her career trajectory. During graduate school, Chelsea wanted to conduct a study using genetic tools to understand the genes involved in the development of flowers in a particular order of plants. She thought it would be a straightforward project, but 20 years later, her questions still remain unanswered. The genes she initially thought would be important turned out not to be involved at all. In the midst of this project, the lab’s freezer failed and Chelsea’s precious samples were ruined. This completely derailed her project, but allowed her to take a step back and think about other interesting questions. Chelsea received a Fulbright Fellowship in graduate school and traveled to Bolivia to find new species and study diversity in the plant family Costaceae there. She worked in an administrative role for the World Wildlife Fund, and it led to excellent training opportunities that have really helped her as she has moved forward in her career as an academic. Chelsea also recalls a phenomenal field research moment where she and a dynamic group of botanists found a new type of Costaceae in Gabon after nearly giving up their search. Bolivia is Chelsea’s favorite place, and she was able to live there for three and a half years. The places she stayed felt more like home than any other place she has traveled to. There were many small towns that were isolated from each other, and each that she visited had a unique feel and culture. In one of the towns, Chelsea came down with dengue fever, and the people there were so kind and took wonderful care of her. When Chelsea was a graduate student at NYU working with Rob DeSalle, it was really interesting because people in the lab worked on a wide variety of things including plants, whales, and insects. The lab had a tradition of cleaning sessions, and cleaning out the freezers was the most interesting part. They found some really bizarre samples in the freezer, and this quickly turned into a challenge where students would try to store the most unusual samples they could think of, and the samples wouldn’t be discovered until the next cleaning session. You should be working on a problem that you are excited to wake up and work on in the morning and also keeps you up at night thinking about it. Chelsea’s lab uses traditional morphological and developmental techniques combined with molecular genetics, comparative genomics and evolutionary biology to study the natural diversity of plants and to help better understand the forces creating and sustaining this diversity. 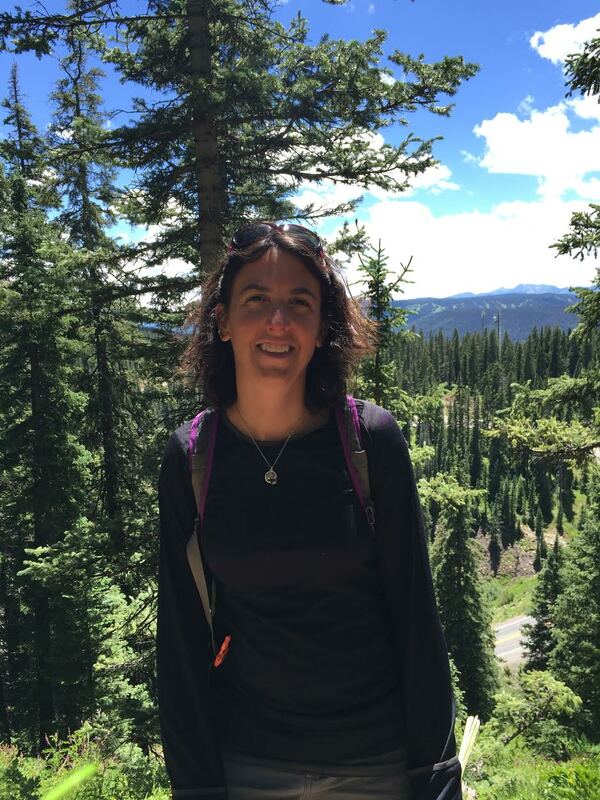 Her research incorporates elements of systematics, developmental genetics and molecular evolution to study the patterns and processes associated with plant speciation and diversification. In particular, much of Chelsea’s research focuses on a particular order of flowering plants called Costaceae (“spiral gingers”). Chelsea is part of the Berkeley Natural History Museums (including the UC/Jepson Herbaria and the UC Botanical Garden) and takes advantage of the living and preserved collections to advance her research in plant systematics, biogeography, and developmental evolution.